We love Pesto Baked Salmon - here is my easy PESTO recipe. First in the food processor I ground up the Pine Nuts and Garlic - I then began to add the Basil leaves. I rotated Basil Leaves - Olive Oil until all the leaves are ground and I had used all of the Olive Oil - then I add the cheese to the mixture and ground again. I began to salt and pepper to taste. Making sure to grind mixing all ingredients together. Delicious - I used about 3 tablespoons for our salmon and I froze the remainder. Freezer life for PESTO is 3 months. 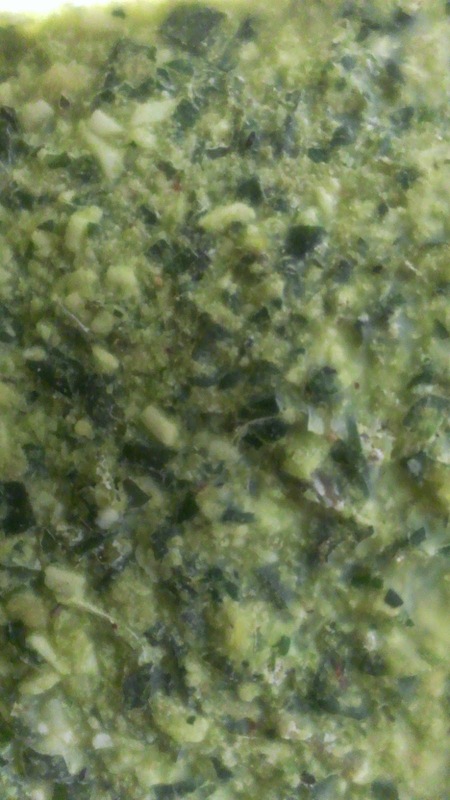 I forgot to take a pic of the PESTO before I froze it! These pics are my frozen PESTO! 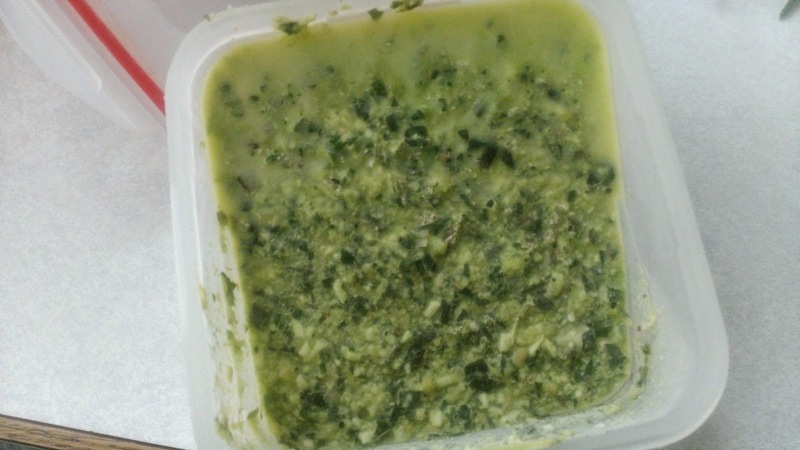 It is hard to beat fresh pesto. it tastes like summer! This looks amazing! I have everything here and could make this tonight, I think I will!